Neil has a first-class honours degree in Exercise Physiology and MSc in Sport and Exercise Nutrition. After completing his MSc, Neil undertook a PhD with Professor Mark Lewis, where he explored the factors affecting the formation of 3D tissue engineered human skeletal muscle using in vitro techniques. Subsequently, Neil worked on an RCUK funded collaborative project between Loughborough University and UCL, and went on to work as a post-doctoral scientist at Loughborough University using cell culture models of skeletal muscle to understand physiological, molecular and cellular adaptation to external stimuli such as loading and nutrients. 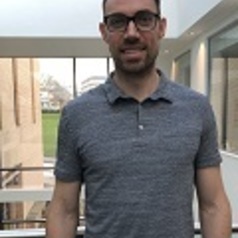 In December 2016, Neil was appointed as Lecturer in Cellular and Molecular Biology and his current research is chiefly concerned with understanding how cellular stresses effect muscle size in ageing and metabolic diseases.